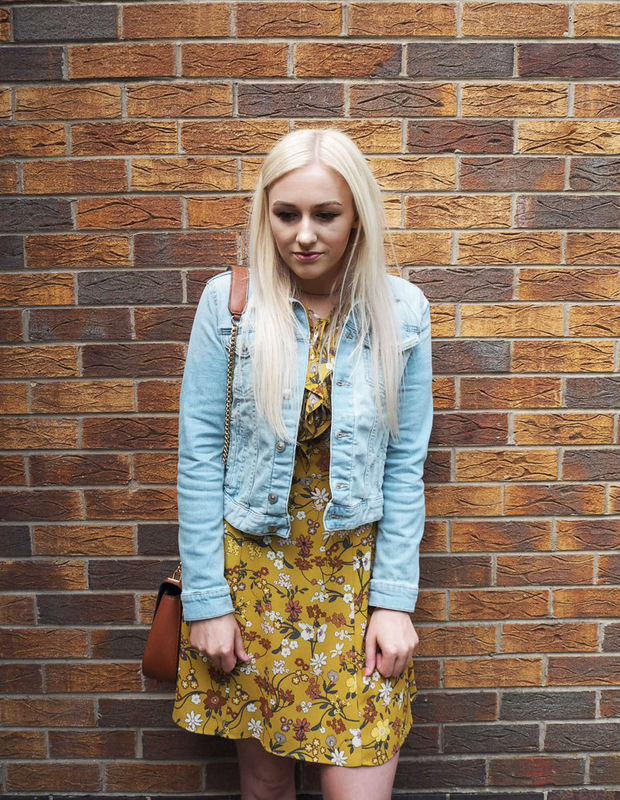 On Monday, I shared with you the first part of a series of posts I’m doing of 3 ways to wear a floral dress, which you can check out here if you haven’t already. 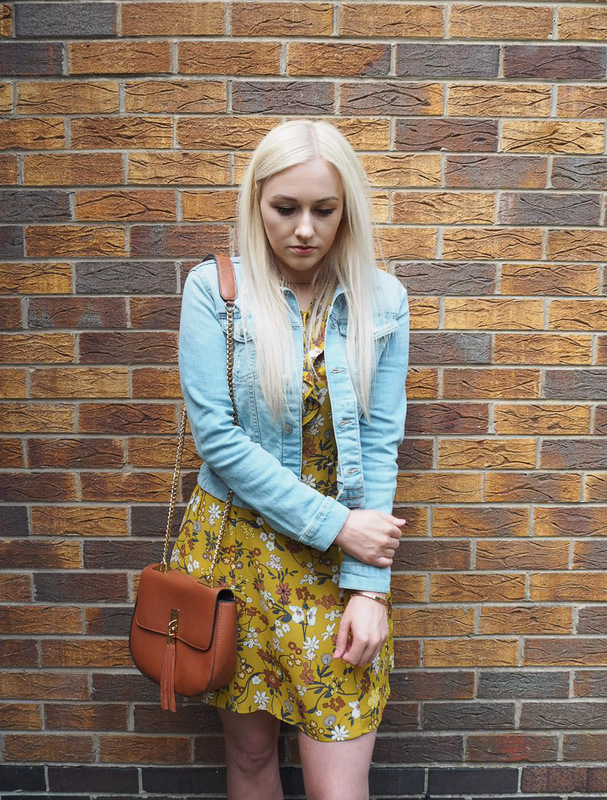 Today I have part 2 for you, which is another of my favourite ways to wear floral summer dresses. This look is a much more casual and daytime appropriate way to wear floral dresses in the spring and summer time, and it’s perhaps the more typical sartorial choice for a pretty dress like this. It’s still easy to keep it looking fresh and modern and make it right for you. The key part for me was adding a denim jacket, which is a must have for me for those chillier days at this time of year. My usual denim jacket is a couple of years old now and has been worn so much that it was looking a bit too tattered, and not in the good way. I felt like I needed a new one this year, so for the past few weeks I’ve been on the lookout for an affordable replacement. I spotted this gorgeous cropped style recently in H&M and it was exactly what I was after, and a bargain at £19.99. I went for it in a light blue denim, but they also have it in a mid-blue as well. Just chucking on a denim jacket over any outfit can transform it into a more casual and laidback look. I’ve paired my beautiful Topshop dress with some simple flat ghillie shoes, which is a style I happen to blooming love. You could actually switch out these shoes for pretty much any flats or trainers and they would work perfectly with a floral dress for a casual look. For the rest of my accessories, I decided to add some warmth with neutral tones which complimented the print on my dress. I opted for a tan saddle bag which is a great everyday style, and finished off with a simple tan cord choker. Add a pair of statement sunglasses to keep it looking cool and on trend and you’re good to go. I think this is a gorgeous casual outfit and a great example of how you could wear a floral dress this summer. My 3rd and final look will be up on Friday, but in the meantime let me know what you think of the 2 looks I’ve shown so far. I am absolutely loving the denim jacket with the dress so much! 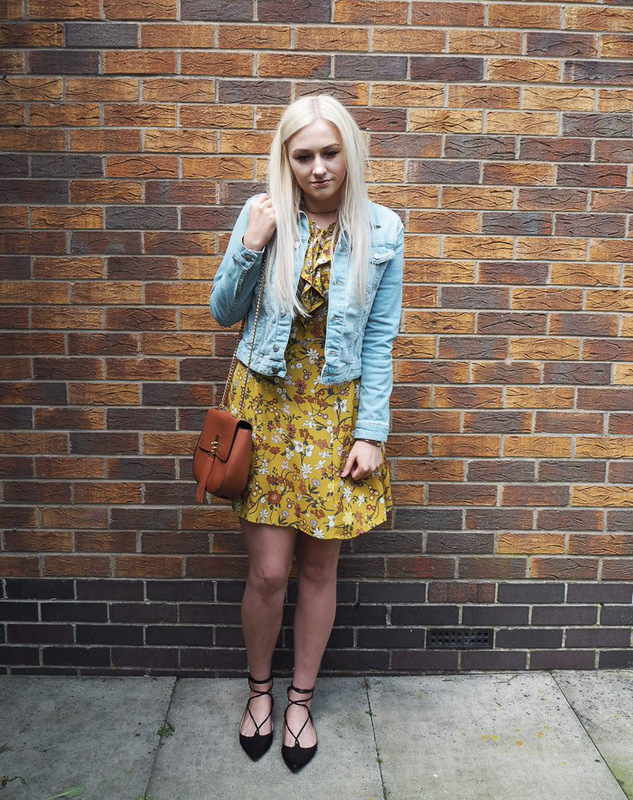 I love the colours of the yellow dress and feel it matches the denim jacket you have got! Love the lighter shades of denim with summery dresses! Plus your hair looks great too. Overall a stunning look! Cannot wait to see the final look on Friday! I love this look on you Katie. I really need to invest in a great denim jacket this year. The last time I owned one was when I was a teenager. Can't wait to see your final look on Friday. Ab fab super stunning Katie! 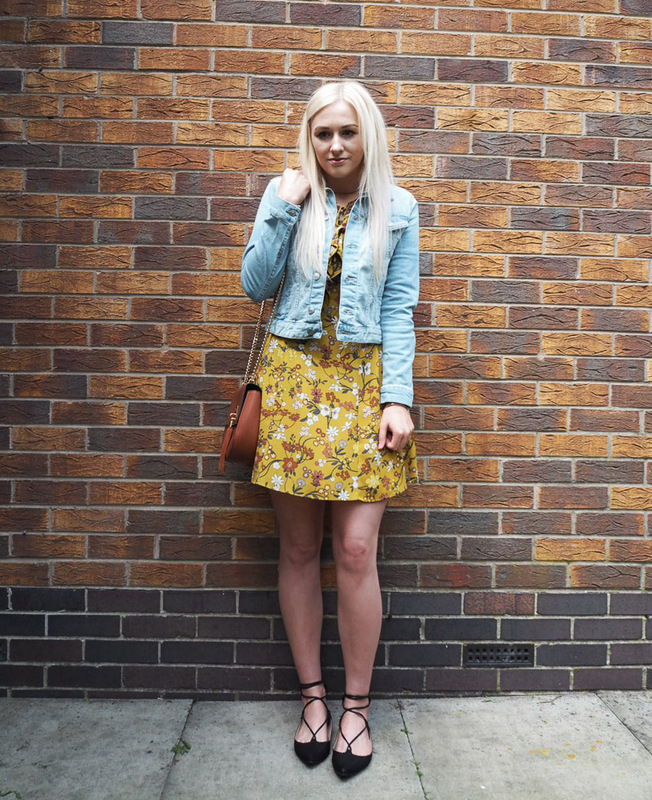 You've got such a great sense of style, and this outfit is no exception! I love the combination of the floral dress and the jeans jacket, which is such a bargain indeed! A true staple piece that looks amazing on you! And those shoes, I'm in love ♥ Great post love! And you've done it again - please can I have your wardrobe?!! I love a summer dress and you've aced it as always!! Look fab!! What a great idea for a styling series. This is a lovely daytime look!